We don’t use 100% Charlotte Mason methods, but our homeschool has been heavily influenced by her ideas. Copywork is a fundamental of her approach to language skills. So, today I’d like to talk a bit about copywork, how to approach it, what it accomplishes, and how to best make use of our copywork books. Copywork is simply copying written works by hand. It is an excellent tool to use from the time a child can form letters until about the age of 10. As a child learns to read, they should practice forming their letters every day, and then proceed to copying simple words that they are learning to sound out and read. This can then progress to simple sentences or single Scripture verses. During elementary school, excellent choices for copywork are paragraphs from their favorite books, short Scripture passages, and excerpts from their reading assignments. Copywork obviously provides a great opportunity for handwriting practice, but it does a lot more. Copywork promotes careful work and attention to detail. Copywork gives intimate exposure to great written works. Copywork aids in spelling, as the child writes the correct spelling of words over and over and learns to recognize correct spelling. Copywork assists in memory work by using another part of the brain. Copywork gives familiarity with grammar principles without tedious study of rules. Copywork demonstrates examples of great writing, and prepares the child for original writing as they get older. 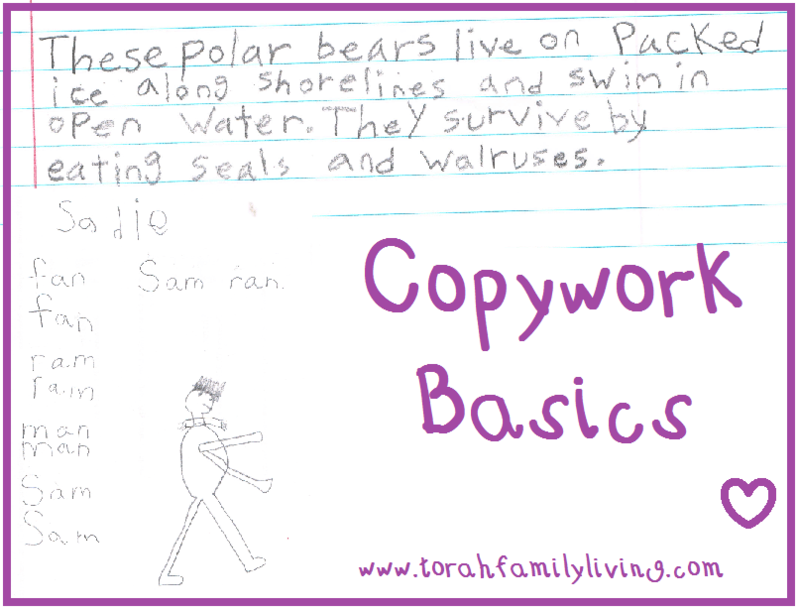 Copywork is such a valuable tool that you will find it everyday in our homeschool. Our children are at varying levels of ability, but everybody copies. Naomi is eleven and is beginning to write her own papers, but still spends a few days a week copying either Scripture or passages from her reading books. How do I use copywork? There are some rules to follow to be able to use copywork effectively. If you simply give a child something to copy, it will become nothing more than a handwriting exercise. Let me give you a few examples from my children so you can see how it should work. Isaac is 8 years old. He is required to copy 2-4 sentences from his reading assignment everyday. He is required to copy exactly what he sees on the page. If he makes an error, he copies the entire passage again. I give him a reminder as he begins to be sure to look for capital letters and punctuation. This calls his attention to grammar rules without drilling them. He copies the passage in his best handwriting, since he knows that momma is looking for neatness as well as accuracy. He also makes sure that he doesn’t crowd his letters or his words. If I can’t read the letters or figure out where the next word begins, he will have to copy it again. Once he is finished, he checks his work at least twice to make sure it matches exactly. Then I check it. If he did a great job, I have him read it aloud to me, and send him on his way with a hearty “Good Job!” If I find a mistake, he will need to locate it, sometimes with help, and then copy the passage again. I have found that a child who has to copy a passage twice will be very careful in their work to avoid having to do it again. This tends to produce overflow into other parts of their life as well. Be careful to keep the amount of copywork suitable to the child. In order to get neat, accurate results, you need to keep the length shorter. It is better to have them do 2 sentences very well, than 8 sentences poorly and with a bad attitude. Sadie is 6 years old. She is still in the process of learning letters and putting them together into short words. She begins by writing her name at the top of the page. This is the writing I teach a child first. Her grammar awareness consists of: Names start with big letters because people are important. A usual lesson for her consists of copying letters she already knows, writing a few short words, and perhaps a short sentence. She reads everything she writes. Recently, I put together a two word sentence and told her it was a story! When she figured out how to read it, she got to draw a picture to illustrate it. You can see her actual page up at the top of this page. Holly is 10 years old and follows much the same pattern as Isaac, only I can require a longer passage from her. She also practices some cursive writing everyday, as well as a page in our Hebrew copywork book. She wrote the polar bear sample at the top of the page. Naomi is 11 years old. She is beginning to do one page papers, but she also does copywork on some days. She copies from her reading books. 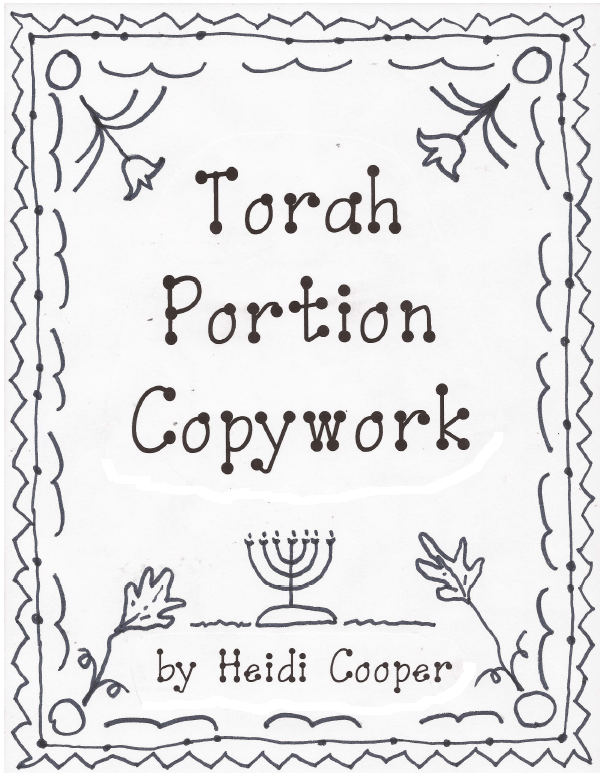 She and Holly have both already finished the Torah portion copywork books. To summarize, here are some principles to use that will make copywork much more effective. Keep the passage short enough that the child will put forth good effort with a good attitude. Require perfection, period. If it isn’t perfect, it gets done again. Point out grammar principles casually either before or after they copy. Example: Be sure to put the quotation marks around where this person is talking. That’s what shows us that someone is speaking. Remind them to spell words correctly. Encourage proper letter and word spacing. I taught them to lay their pencil down between words. It’s a good space. Have your child read their copywork to you when they are done. Engage all those different parts of the brain! When copying Scripture, you can also have a brief discussion on the meaning of the verses. How do I get started on copywork? As you may have noticed, copywork encompasses the majority of language art skills. When you use copywork, you no longer need a handwriting course, grammar course, spelling course, etc. When copywork is properly used, all these skills will be acquired naturally. Start by designating a “writing time.” I have found that keeping all the kids on the same subject at the same time keeps the day running smoothly. After math, we do writing. When starting out, it can be daunting to figure out what to have your child copy. We have tried to help out with our copywork books. When you buy the printed copy, you receive a spiral bound copywork book that is all ready to go. All you have to do is decide how much they should copy each day. This is pretty easy to determine just by watching your child. If they are starting to get tired or sloppy, they’ve reached their max. If your child makes a mistake, they can use a separate sheet of paper to copy the portion again, or use the blank side of the paper in the Torah portion copywork books. Our copywork books are completely based on Scripture, which is great for keeping your child’s mind on the Word. If money is an issue, you might consider the ebooks, which are cheaper and save on the shipping. Otherwise, you can begin by working through Scripture passages such as Genesis 1, Exodus 20, Psalm 19, etc. You may want to switch between Scripture copywork and copying some sentences from yesterday’s reading assignment. 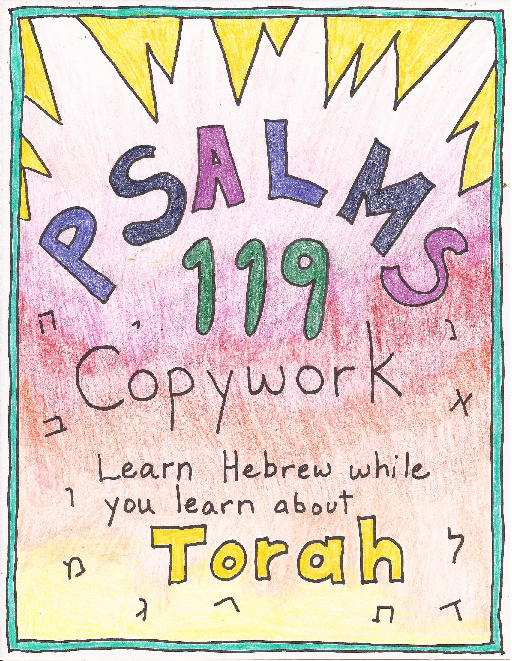 Don’t overlook the potential for using ‘My First Torah‘ for copywork. It can be easier for younger students to copy and read themselves, as opposed to full Scripture verses. It is also available in print and ebook format. And there you have it, a basic primer on copywork! I hope you will begin to use this amazing tool in your homeschool. We have another copywork book in the works designed just for my science minded son that I am very excited about! Some of you already use copywork. What types of things do your children copy? What benefits are you seeing? Be sure to share with us! My son is 12, and daughter 9, is it too late to start with them? It’s never too late to start copywork. I do quite a bit myself. You will want to start them on short things to get used to it, though. For example, have them copy one verse a day at first.